It's been a while since the last Interrobang story arc. This was a good opportunity to show off more of Drannik and Lizzep's new looks, as the last couple of arcs didn't really focus on them as much as the other characters. 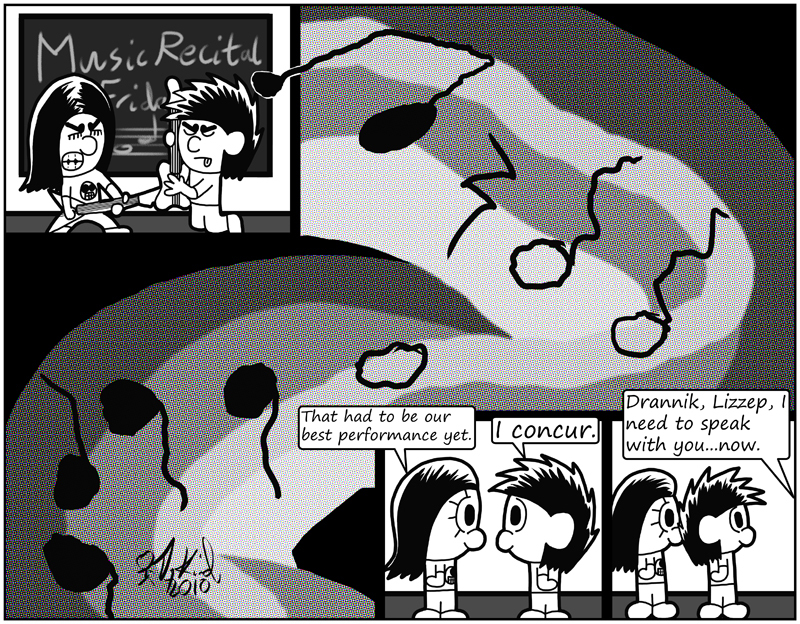 Not only that, but I tried a couple of different times (how well I did is anyone's guess) to convey music within a silent medium like comics here. For example, the music lines look jagged and non-flowing here because, well, the music would sound jagged and non-flowing were it to be heard.